ICU MSCRM: AAAAAAAAARRRRRGGGHHHHH! CRM 2005 Delayed Again! AAAAAAAAARRRRRGGGHHHHH! CRM 2005 Delayed Again! This is greatly annoying and frustrating news. 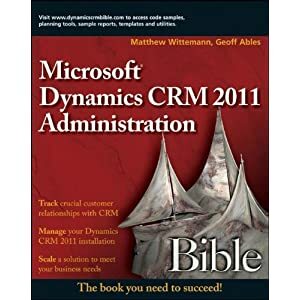 I understand that MS doesn't want to release CRM until it has gotten everything right -- which it should have done with version 1 -- but personally, my customers are in need of help now. I work in the small business space, all of my clients are on Small Business Server. Their investment in CRM is a significant one for the size of their business, and they bought it largely because of their trust in me and my company. Now, more than a year later, here we are with clients who are dissatisfied with what they got for their sizable investments, and I have to go and tell them that they are going to have to wait another year for improvements. Our clients bought CRM on the "Open Value" program so they could get 3 years of software assurance -- 3 years of included upgrades to the product. They will be into their Open Value licenses by almost 2 years before they get an upgrade. Meanwhile, they have growing businesses and growing demands, and growing gaps between CRM 1.2 functionality and their needs. Listen, I still think CRM is great -- has great potential. I like it from the technology side, and even from the user side. But I have a higher threshold for holes and flaws than the salespeople at my clients' companies who were using ACT (which absolutely stinks). But at least ACT worked. Heck, I've got some people in CRM who had been using Access databases they made themselves -- and these are non-technical people -- and their Access databases did things that CRM can't do. OK...I got that off my chest. I needed to rant and vent. Let me just say that I am looking forward to CRM 2005. I want Microsoft to get it right. I don't want them to release it until it is ready. I understand the delays. But Microsoft needs to do what is right by their early adopters -- basically their paying beta-testers. I'm talking about large refunds, free licenses, doubled Open Value terms -- something significant to reward those companies who are risking their success by going with Microsoft's promises over the competitors. I absolutly agree with you ! We Have buy the 1.2 version with the hope of a more completed version for the first quarter of 2005 and it's delayed to the end of the year. I think MSCRM is a great product which does things really well that other CRM products don't but it is let down by partially completed functionality and missing functionality that is key for businesses. We too have invested a lot in MSCRM, have been let down by MS in terms of (not) marketing the product and now have another 12 months before we get a version we were planning for in April/May. There will always be a trade off between adding functionality and releasing software, after all there is always one more critical function to be added but I think this delay is wrong as from what i have seen CRM 2005 as is would have made a huge difference. I too am disappointed about the release date slipping. However I don't believe it is reasonable to expect EVERYTHING to be perfect in the first release of a major product like MSCRM. We have been extremely pleased with MSCRM within our organization. Last Fall we switched to MSCRM from Goldmine and I can say that 100% of users are thrilled with MSCRM. The advantages far outweigh the missing functionality that is scheduled in the delayed release. Nothing is ever perfect and I am impressed how much Microsoft got right on this first release. So I'm looking forward to the next version but in the meantime I'm happy to have what I have. I am sorry but I am MSCRM and FrontRange (GoldMine) certified, and if it was my decision I would not move to MSCRM 1.2 given all the nice functions in GM at the moment that MS have missed out on. Team working benefits etc. In some cases such as smaller businesses with lack of tech skills I don't think they ought to ever use it, and should remain on proprietary type systems - until MSCRM get the simplicity over hosting issues sorted out. Granted its a very pretty product mind. Ought to work a lot better alongside IE7 (tabbed screens) and with the missing funtionality they are putting into it.